The Wildfire Raid is now run and done, and for an inaugural edition of the race, it was a massive success. 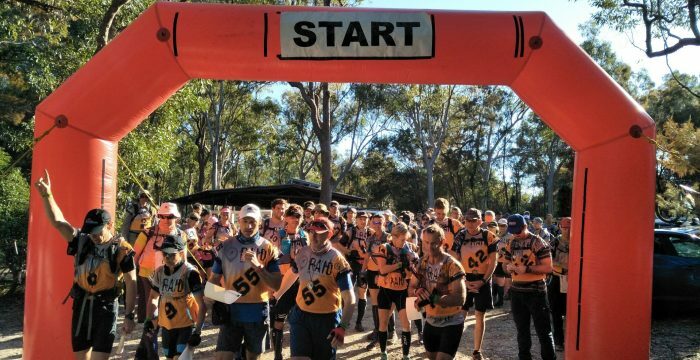 Adopting the now familiar Raid multisport rogaine format with a few little twists, the 3 and 6 hour time options were perfect for new comers to the sport whilst still challenging some of Queensland’s fastest adventure racing teams. The course took in some fantastic single track riding in the Bayview conservation area, off trail trekking that require concentration on the maps to nail the check points and a paddle on the bay for 6 hour teams, with the 3 hour teams heading out for a quick spin on the local dam. Thrown into the mix was the mystery discipline – a 12m plunge from the “Quick Jump”. With an easy 100 points up for grabs, it left more than one competitor quaking in their trail runners before finally taking the leap of faith off the ledge. Looking at the competitive side of things, there was some fast racing at the front of the field. Four teams managed to sweep the course in the six hour event, with “Tri Adventure MDs “coming out as overall victors of the 6 hour event. It was great to see all top 5 places in the 6 hour event go to mixed teams, confirming the premier nature of this category in adventure racing. 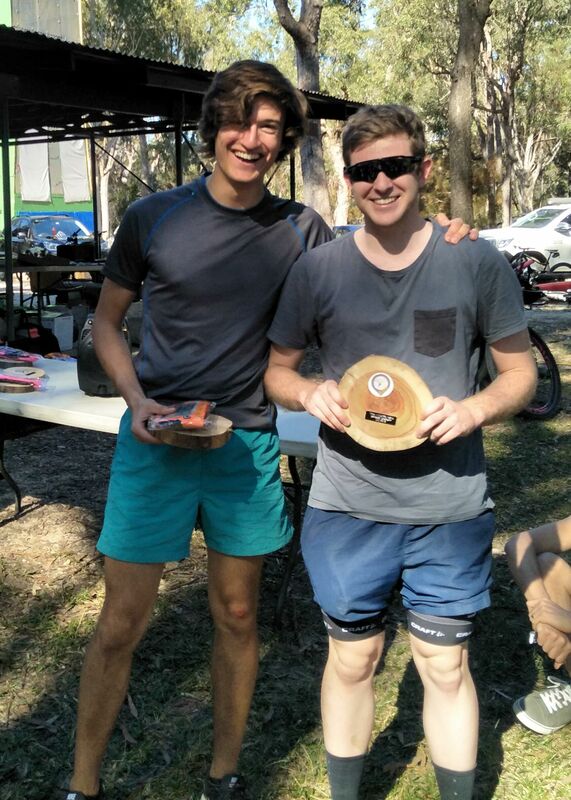 Special mention should also go to the winners of the men’s category, “Thou Shalt Not Pass”, making a return to AR after a hiatus and winners of the women’s category “Tri Adventure Wild Women”, both of whom finished comfortably in the top 10. 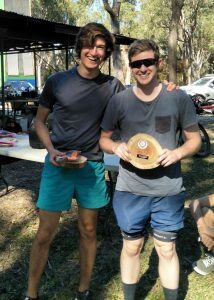 In the 3 hour race, team “Are We There Yet” were comfortable winners of the mixed team and overall title, with the “Crazy Old Bats” taking out the women’s category in second place overall and “Team of Much Fun” winning the men’s division and the colts category to boot. The three hour course was specifically designed with our youth competitors in mind and with a third of the field made up of either youth or family teams, it was fantastic to see all the smiles on the faces of our colts competitors. Judging by the weekend’s racing, the future of AR in Queensland is looking good, with two of the colts teams even cracking a top 10 result overall. Full results along with links to the maps, race reports and photos can be found HERE. Team of Much Fun – our winning Colts team. General feedback from the course has been fantastic with a few teams coming home with some interesting stories. One of our novice teams in the 3 hour course thought they needed to collect every CP and made it back almost an hour and half late – they were a little exhausted but still managing smiles. The pair of “Burke and Wills Expedition” teams missed the kayak cutoff instruction and found themselves battling an ebbing tide and mud flats just to make it back off the six hour kayak leg. Along with all the competitive results and stories of elusive CPs, it was great to see so many youth and family teams take on the challenge of the race and I believe this format of racing perfectly suits those looking to dip their toes into adventure racing. A big shout out to event sponsors Wildfire Sports and Trek for their continued support of the Raid races and the outdoor navigational sports in Queensland in general. Also a big thank you to our event volunteers Suwati, Michelle, Scottie, Andy, Grant, Gill and Greg – it’s so great to work with such a reliable crew – along with Shaun for help with control collection. 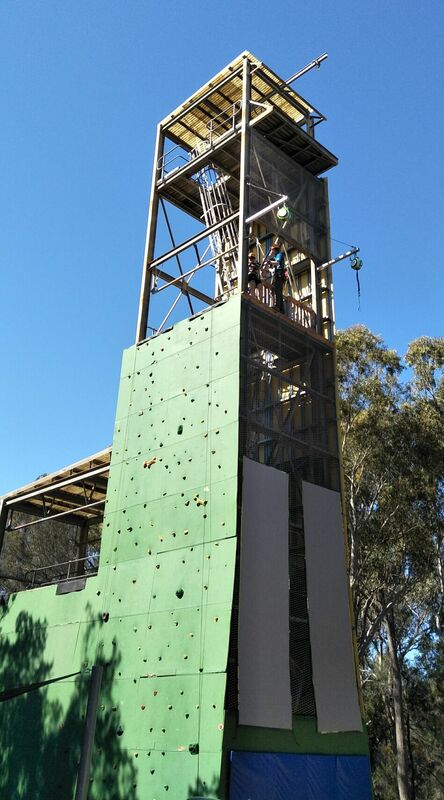 Further thanks to Kindilan Adventure Camp for the use of their facilities, The Girl Guides for catering and the Redland City Council for prompt and easy service to get everything we needed in place. And of course, our biggest thanks go to Adam Power who was essentially a one man show when it came to setting such a fantastic course. So, what’s up next ? In August we have the Australasian Rogaine Champs visit QLD – a race not to be missed – followed by the Mojo Raid in September. The Urban Raid will make a return in early December followed by our most ambitious race yet – the Raid 100. After the resounding success of this year’s race, look for the Wildfire Raid to make a return in 2019. I know Adam has some exciting courses in the pipeline for this race and I look forward to seeing you all back to a race soon. The sun sets over CP32.